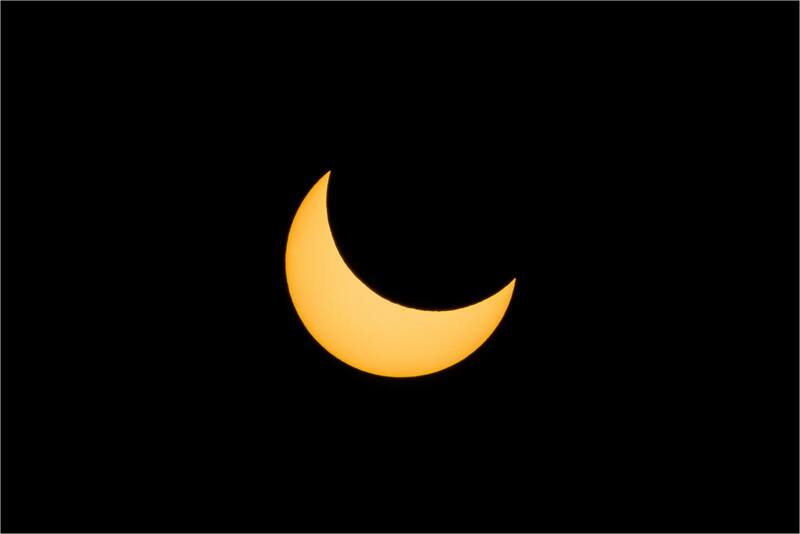 The October 23rd solar eclipse was at its maximum at 4:07 pm here in Calgary. 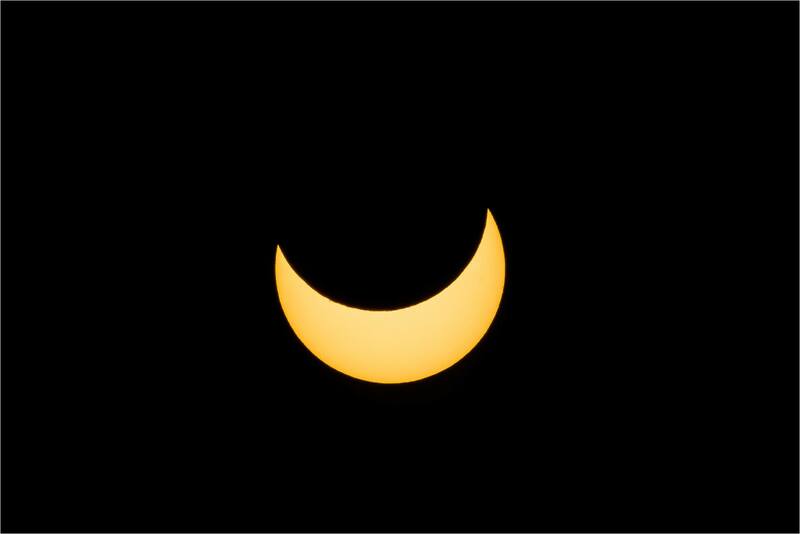 It was a partial eclipse with the moon blocking out a majority, but not the entire sun. The sun swung like a pendulum behind the moon which afforded a couple of images of each of the distinct phases. The image above was taken at 4:07 PM MST which was at the maximum. 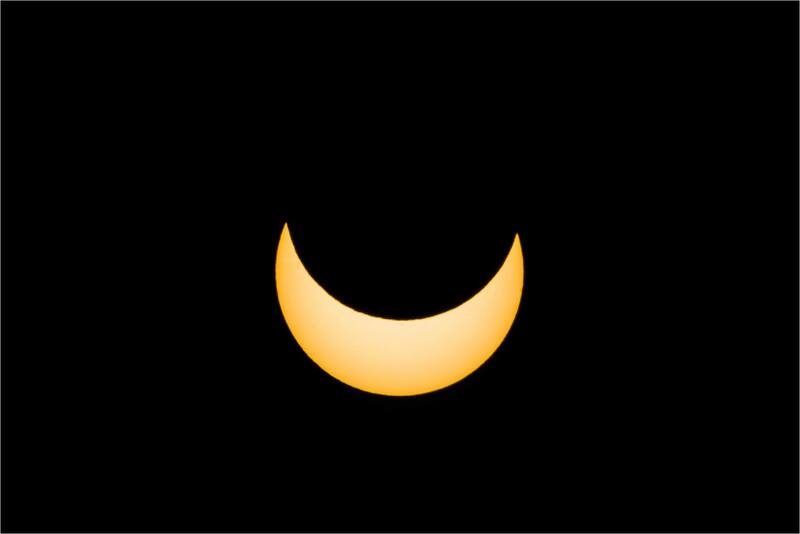 The image above was from 3:55 PM and the one below was taken at 4:13 PM as the sun and moon separated. This entry was posted on October 24, 2014 by Christopher Martin. It was filed under Moon and was tagged with celestial event, crescent, moon, October 23, partial eclipse, sky, solar eclipse, sun. These are stunning images, Chris! Did you use an infra-red filter?